Prior to joining NGP ETP, Rodd served for 11 years as the Chief Financial Officer of Perseus, L.L.C. At Perseus, Rodd was a member of the firm's Executive Committee. 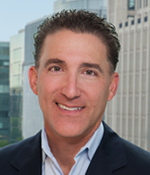 Rodd's previous experience includes serving as the Head of Business Development for the Bethesda buyout team at American Capital Strategies, a publicly-traded alternative asset manager. Earlier in his career, Rodd held positions at Legg Mason and Arthur Andersen. Rodd is a Certified Public Accountant and a Chartered Financial Analyst. He holds an MBA from the Wharton School of the University of Pennsylvania and a BS in Mathematics from the College of William and Mary.